Onsies for adults and children ship fast from Sydney, Australia! The nights are getting cooler as Winter descends, but you have to dress up in a costume for your next party! What are you going to do?! It's a common dilemma, but thankfully, Costume Direct is here to help with our selection of adorable, fun, and super comfortable Onesies! Whatever the theme, and for almost any occasion, Onesies are the perfect costume to ensure you are both warm AND looking fine! We have a huge range of animal onesies for kids and adults, from cats to cows, dragons to sharks, hamsters to zebras! With a little bit of imagination and thinking outside the box, you can fit right into any party theme - from 'Disney' to 'Movie and TV characters', from 1990s shindigs to Halloween, and even Easter and Christmas - with our bunny, Santa and reindeer onesies! Head into CostumeDirect.com.au today and see for yourself our exquisite selection of onesies, for adults and kids! 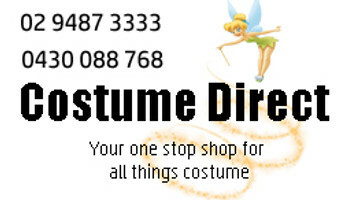 With great prices and fast shipping Australia-wide, there is nothing stopping you from buying the most warm and wonderful costume of your life!